Michele Bilyeu Creates *With Heart and Hands*: Using Multiple Joann Fabric Coupons:UPDATED! Using Multiple Joann Fabric Coupons:UPDATED! This is a photo above. It is not a coupon. You must click on link below and print it off to get printable coupons! Not having a joanns here on the island, I don't have the luxery of doing that - and have not seen any online only coupons of late - but would love to see any that have "free shipping" or 40%off an item. Our joanns doesn't have coupons in their instore ad. But I do get them in the mail, emailed to me, and in the newspaper. I thought the ones you got online would have the same ups code as the email so I haven't looked for that. Some clerks will let me use more than one - I use one at the cutting counter and one at the sales register, so there is no worry, but I hadn't thought that the clerk would let me use more than one. 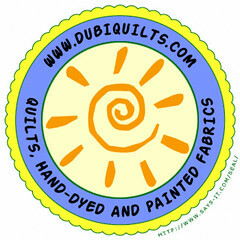 Oh, I think you are about due for some quilting to soothe the soul. Enjoy! Thanks for the coupon tips. Didn't know about the Michaels/Joann connection. I love JoAnn's coupons and use them all the time. I also get them in the newspaper, emailed to me and in the mail. I always ask to use more than one and some times they say Yes. I buy all my muslin for dyeing fabric with 50% off coupon. Last year I got 10 bolts and I only have 1 left. Yahoo! This is so awesome to know! I mean YAHOO! and YAHOO! again! I recently learned that Michael's will take competitor coupons, even the printed ones from Hobby Lobby! Woohoo!